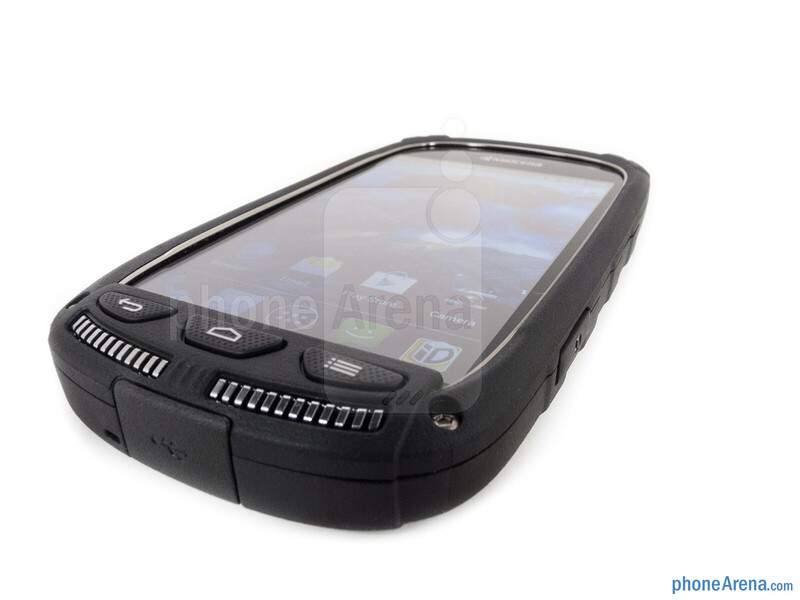 The Kyocera Torque stands out to begin with, thanks to its ruggedized design including Military Spec 810G and IP 67 certification. What really caught our eye though was what Kyocera is calling Smart Sonic Receiver technology. This eliminates the traditional earpiece, and transmits sound directly into your tissues meaning you should be able to hear clearly in loud environments. 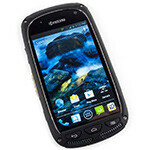 Is this new technology enough to make the Kyocera Torque a winner? Read on to find out. 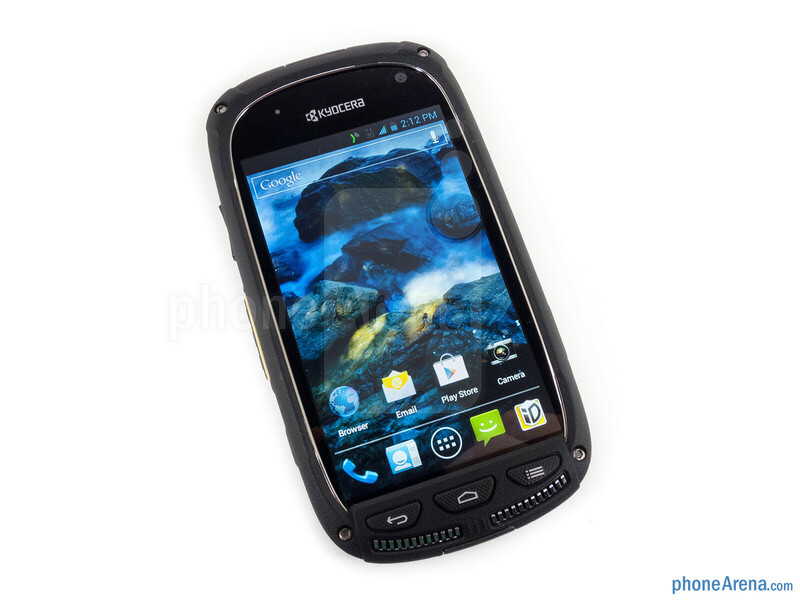 As far as rugged devices go, the Kyocera Torque is relatively small. It comes in at just 14mm thick and feels much more comfortable to use than other rugged devices out there thanks to a significantly smaller bezel. 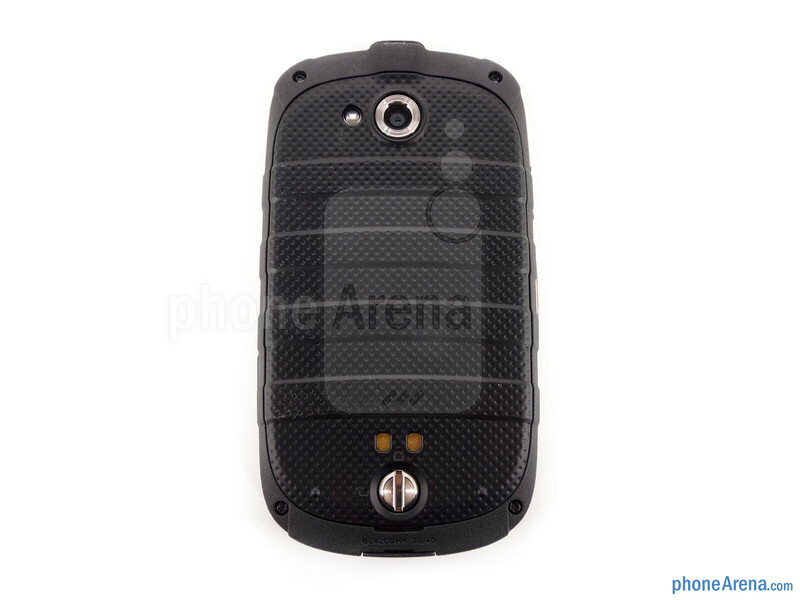 The sides are encased in a durable plastic housing, and the back is texturized with plenty of grip. 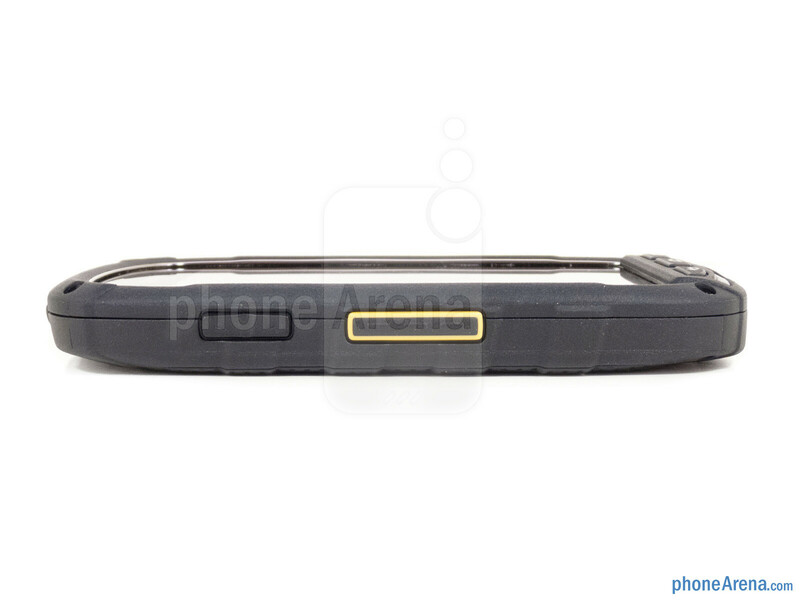 You can compare the Kyocera Torque with many other phones using our Size Visualization Tool. The Torque features a 4” IPS 480x800 WVGA display, which isn’t the highest resolution but readability and viewing angles are good. 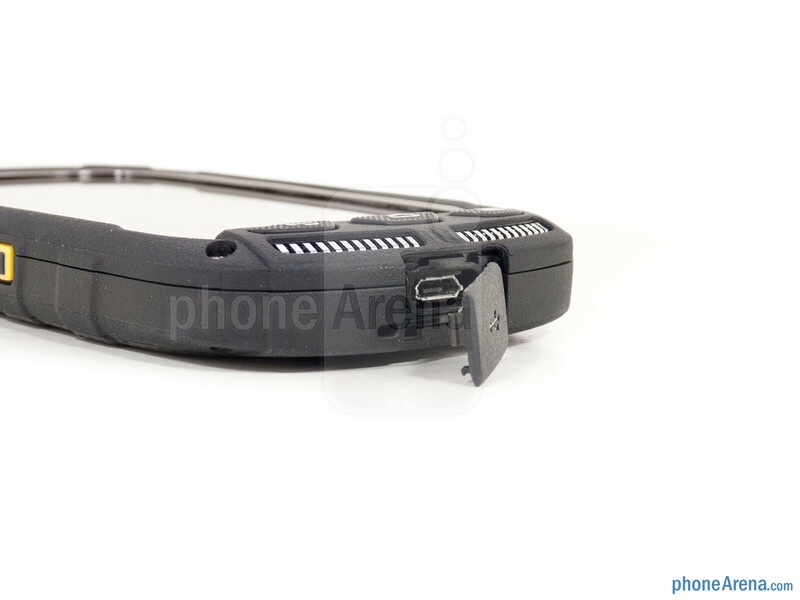 The display is slightly recessed from the bezel to protect it. 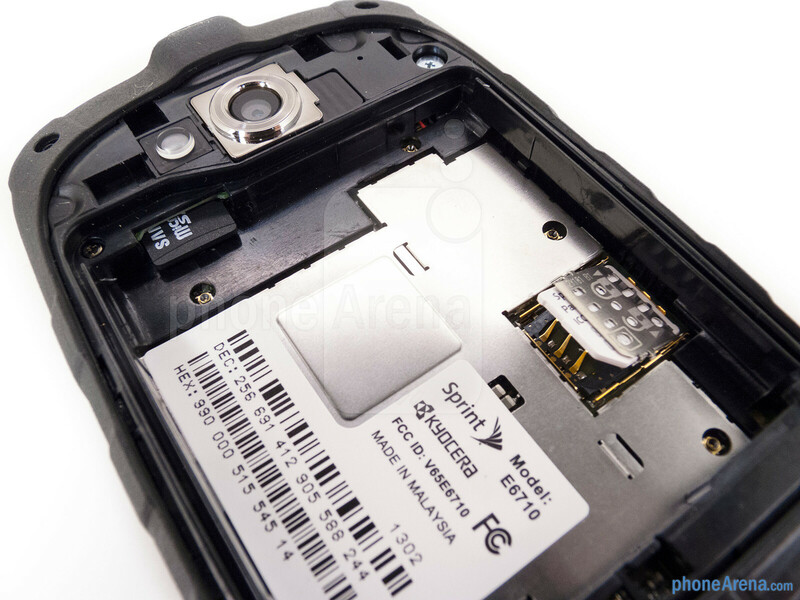 Below the display are physical navigation buttons integrated into the housing below; though it runs Android 4.0 Ice Cream Sandwich, Kyocera has changed out the recommended app switcher button for menu. 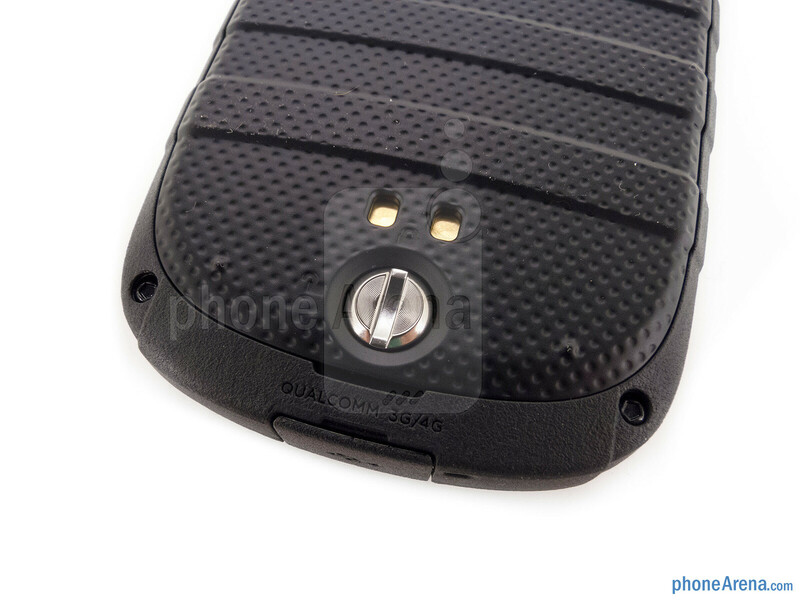 Along the sides you’ll find a large Direct Connect button, as well as a volume rocker and physical camera key. 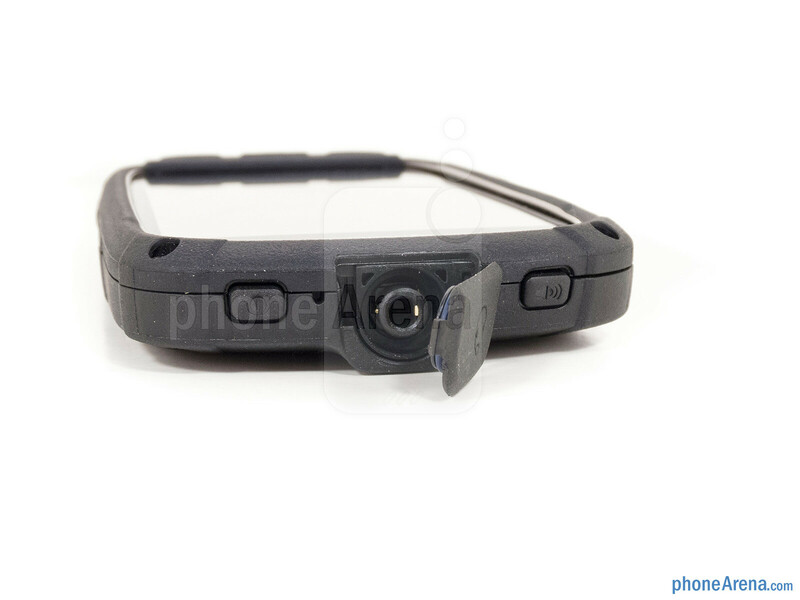 On top the covered 3.5mm headset jack is flanked by the power and speakerphone buttons, and down below is a covered microUSB port. The Torque meets Military Spec 810G for dust, shock, vibration, temperature extremes, blowing rain, low pressure, solar radiation, salt fog and humidity, and the IP 67 certification ensures it can stand up to water jets and submersion for up to 30 minutes in 1 meter of water. 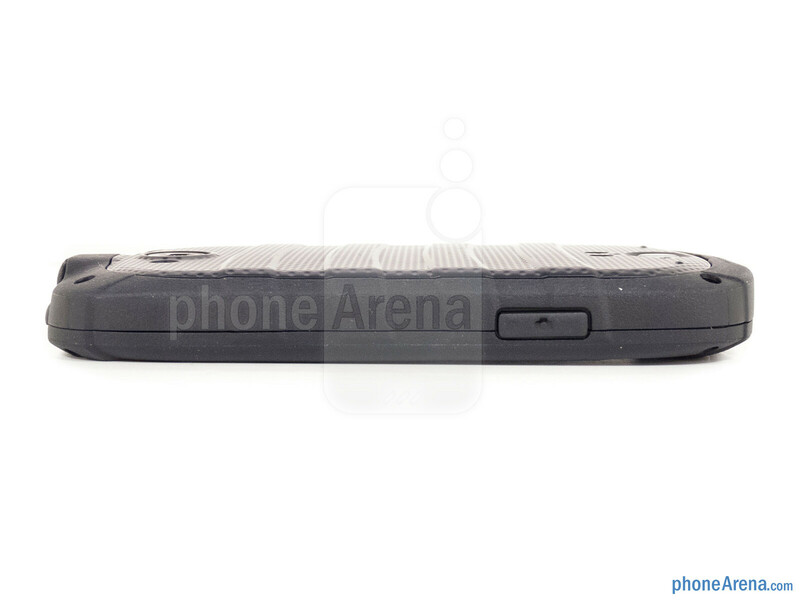 The only physical openings on the phone are the battery door, which has a locking mechanism, the aforementioned covered ports and the large front facing speakers at the bottom. The Torque performed as advertised, withstanding all of our durability tests. Despite several drops on concrete from increasing heights the Torque refused to stop working, or even show a scratch. We doused it in water, then dunked it in 2 feet of water for half an hour and the Torque came out working just as well as when we put it in. What the hell is wrong with you PA!!?? This has the same rating as XPERIA Z??? Because sony XZ has TFT display while this phone already uses IPS. If Sony has IPS display, it could be probably rated at 9.0.. Even many cheap chinese entry level phones already use IPS display nowadays. PA hates Sony. Sony's displays are good enough. Most of the people do think that cheap IPS displays are better, but they are better only in viewing angles and there are other parameters also. 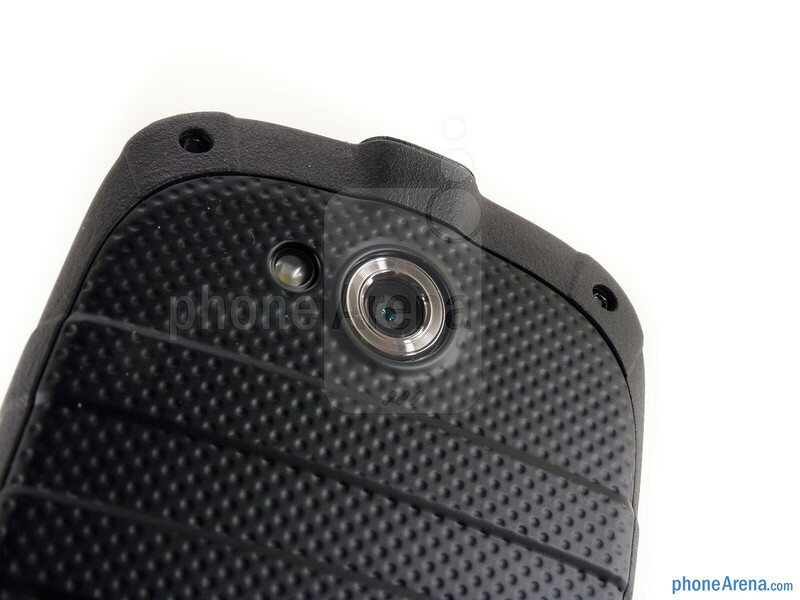 Reports from the owners show that for most of the people is very rear to work with their phones looking them under strange angles. 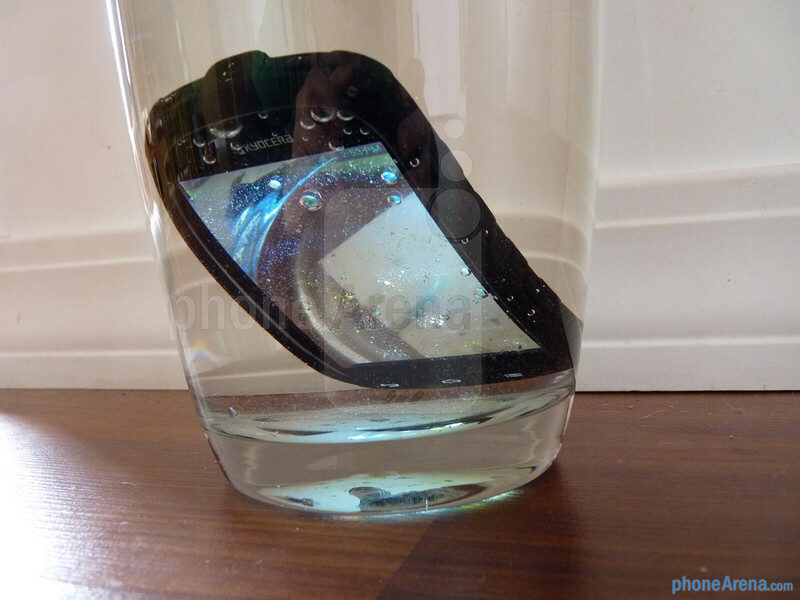 The biggest advantage of Super AMOLED displays is that they save energy. Okay; really: they all are great (love ruggeds,man !) and i think ip68 should be standarized soon: but Cant be happy, dude: Sansumg is no longer what it used to be (good value for money) ... it has gone to the dark side. You can buy five good ruggeds from agm with that price : x1 18k gold edition gooo xD ! "Smart Sonic Receiver" sounds cool...but i get a tingly feeling that the phone is going to use my tissues instead of the ear-piece. 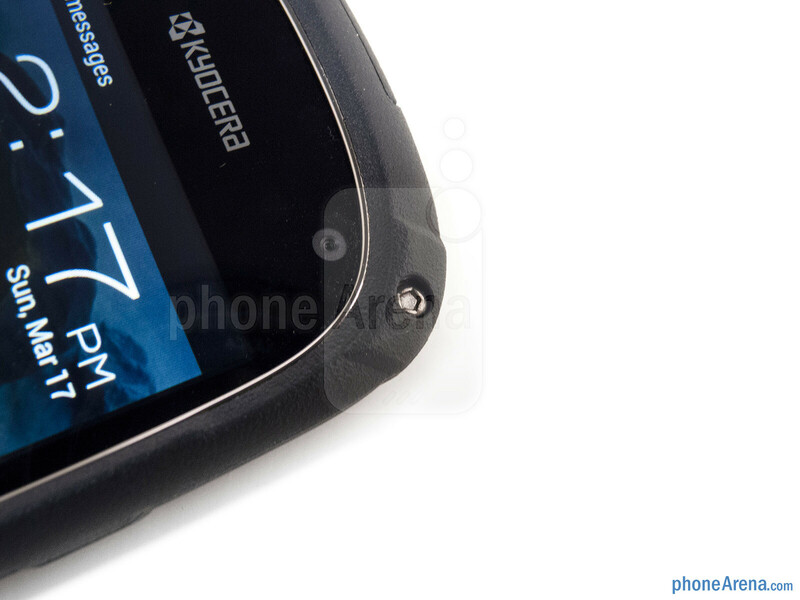 Other than the camera being pretty poor (even for midrange) and the lack of doing direct connect and LTE simultaneously, it looks like Kyocera finally put out a good android device, and its got rock solid build and a low price. Hopefully this means no more Echos or Milanos or Zios for them, LOL. I think the 8.5 is a fair score, it may not be the best out there, but the rugged features will beat out any case you can purchase separate for a phone, and the specs are pretty good.